Governments need to find tools to help farmers work around the short transition period between kharif harvest and rabi sowing that leaves them with little choice but stubble burning. 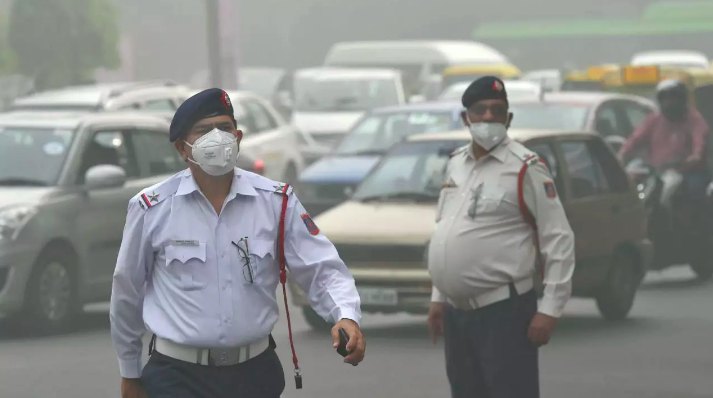 New Delhi: On Saturday, Delhi’s air quality slipped into the ‘very poor’ bracket, according to the Ministry of Earth Science’s System of Air Quality and Weather Forecasting and Research. The overall Air Quality Index (AQI) was recorded at 336, and the forecast for Sunday suggested that things could get worse with the AQI expected to touch 349. To understand just how alarming this is, consider that an AQI of 101-200 is categorised as moderate, while an AQI between 201-300 is ‘poor’. Delhi has already breached the ‘poor’ range and entered the ‘very poor’ category (301-400), and is moving steadily towards the ‘severe’ category (401-500) ­­– the last category defined in the AQI. Parts of Delhi have already recorded air quality that is considered severe. For instance, the monitoring station at Mathura road recorded an AQI of 470 on Saturday. This is no new phenomenon. Each year, in early winter, the inevitable cloud descends upon Delhi, masking it in a noxious layer of unbreathable gases, smoke and dust. Each year, air quality gets consistently worse come winter as crop burning begins in the surrounding areas of Haryana, Punjab and parts of western Uttar Pradesh. Attempting to ready the field for the sowing of the rabi crop, farmers burn the left-over paddy stubble and loose straw from the kharif season. An estimated 20 million tonnes of stubble and straw is burnt in open fields which releases large quantities of particulate matter, including the hazardous PM 2.5. A recent Harvard study found that stubble burning during the winter months nearly doubles the amount of pollution in Delhi, particularly in October and November. Stubble burning has its roots in the introduction of the combined harvester, a machine that allows farmers to harvest large chunks of agricultural land within hours but also leaves behind stubble that must be cleared to make way for new crop. A short window of transition between the kharif harvest and rabi sowing means that decomposition of stubble and straw poses a challenge. Burning it in the fields is an inexpensive method of decomposing them in a short period of time. The most efficient way to clear the remnants is to burn them since it can be done quickly and the leftover ashes can be used to fertilize the soil. In the NCR region and surrounding states, this technique is generally used to clear fields of rice paddy stubble to plant wheat in its place. Predictably, however, this practice poses a public health challenge as burning field upon field of paddy stalks fills the air with smoke and fumes. 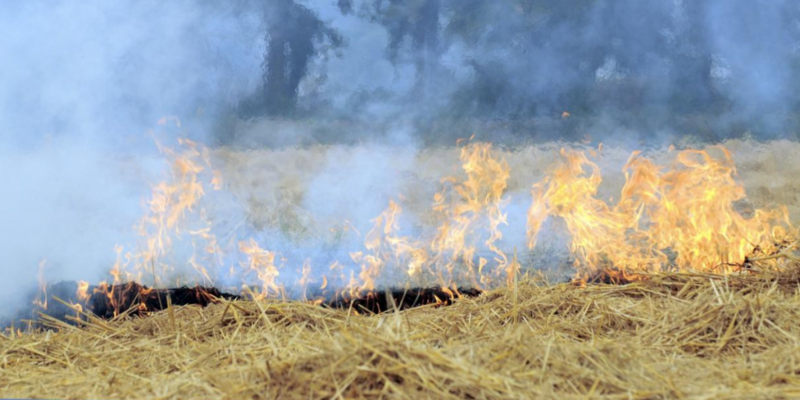 Several measures have been adopted to deal with the problem of stubble burning. The governments of Punjab and Haryana have launched awareness campaigns to educate farmers about the adverse impacts of stubble burning. The National Bank for Agriculture and Rural Development recently instituted its own awareness campaign. The Punjab and Haryana governments have banned crop burning and announced that those found in violation will be fined. The Punjab government even offered a reward of a million dollars to anyone who could find a viable alternative. But, as The Indian Express reports, farmers find it cheaper to pay fines and continue burning the crop residue instead of buying or renting expensive equipment to deal with the waste. The paradox of the situation is that farmers themselves are some of the most heavily impacted by declining air quality. The smoke directly enters their homes, causing health problems that become a further burden on their financial resources. According to another report by the Indian Express, a faction of the Bhartiya Kisan Union (BKU) submitted a statement to the National Green Tribunal detailing that the equipment required to eradicate stubble burning would cost the farmers an extra Rs 15.3 lakh. The BKU (Rajewal), led by Balbir Singh Rajewal, estimated that farmers would need to shell out Rs 10 lakh for a tractor, Rs 2.6 lakh for a reversible hydraulic plough, Rs 1.7 lakh for a rotary mulcher and Rs 1 lakh for a rotavator. In addition, the machines would consume an extra 44 litres of diesel per acre. Farmers would also be required to invest Rs 1.5 lakh in a ‘Happy Seeder’ that is capable of drilling wheat seeds directly into fields. Although governments have introduced the option of renting the required machines, these remain expensive and in short supply. According to a Down to Earth report, the machines that are available on rent can cover only 20% of the 1.3 million hectares under paddy in Haryana in the 25-day window between kharif harvest and rabi sowing. On Thursday, Punjab chief minister Amarinder Singh met Prime Minister Narendra Modi to ask for compensation for farmers attempting to switch over from stubble burning, another in a series of mitigative efforts by the Punjab government. Yet, despite these attempts, alarmingly little has changed over the last few years. Instead of focusing purely on stopgap measures to “create awareness” and subsidise equipment, governments need to find tools to help farmers work around the short transition period between kharif harvest and rabi sowing that leaves them with little choice but to burn residue causing hazardous pollution levels at this time of year. 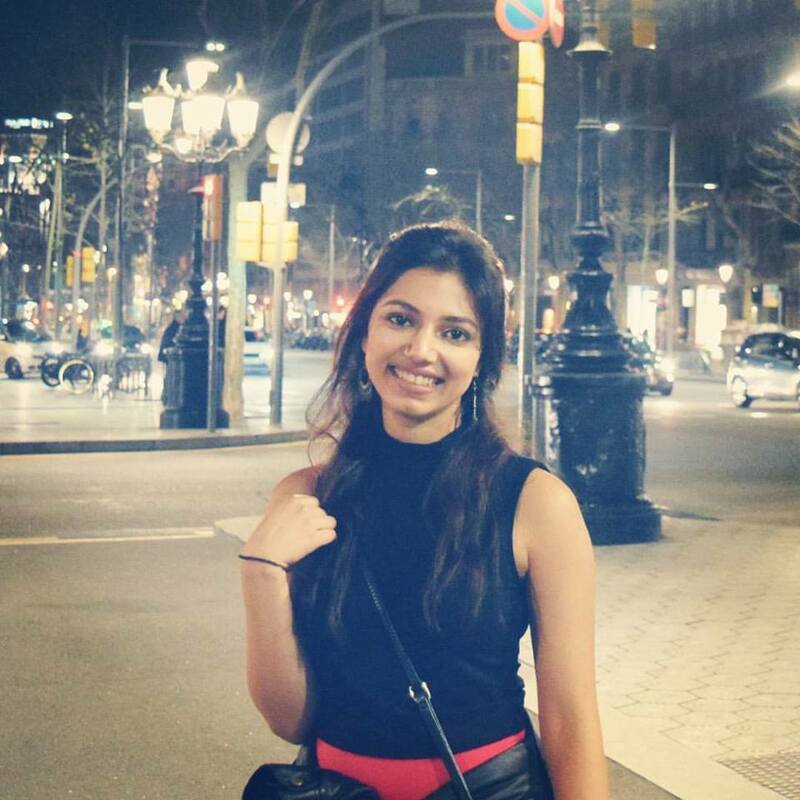 Mallika Khanna is a graduate in English and International Studies from Trinity College, CT and an editorial intern at The Wire.